Took my car in unbooked after the holidays and it was looked at within 4 hours and repaired and ready for collection within 2 days. Friendly service with phone updates and suggestions with regards to parts and pricing. Lovely staff. Would definitely recommend and use again! Great experience. Took my car in for second opinion after dealership service said I needed new rear brake pads. Double Dee guys took a look and said not necessary and didn't charge me a penny. Will be using them for MOT and service in future. 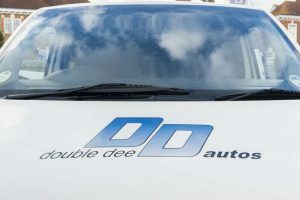 A neighbour recommended Double Dee Autos 8 years ago. I have never regretted it. The service is excellent. The team is courteous and professional. I wouldn't take my car any where else. I moved to Hayes a year a go and was looking for a reliable Garage to help with MOTs. From the first phone call Andy and Roger have always been helpful, offering advice and a mechanic when they could not help with my faulty gearbox.... I moved to Hayes a year a go and was looking for a reliable Garage to help with MOTs. From the first phone call Andy and Roger have always been helpful, offering advice and a mechanic when they could not help with my faulty gearbox. Yesterday Andy helped my wife with a slow puncture even though they were extremely busy. Thank you Andy and the team 👍🏻👍🏻👍🏻👍🏻👍🏻.